Limes 5 in. x 7 in. Oil On Panel - BID ON OR BUY THIS PAINTING. 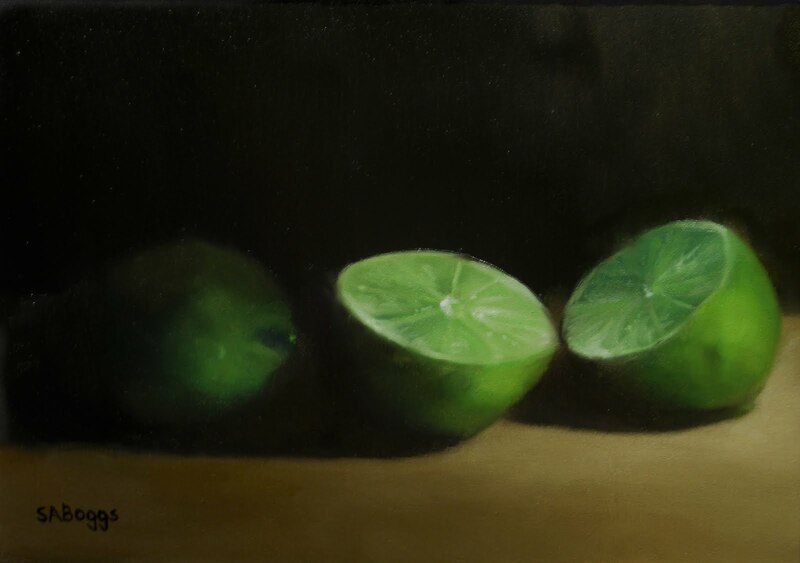 I have painted limes as part of larger paintings a few times before but never as the main subject. This painting is two limes, one whole and in the shadows and the other cut and in the light. I thought that It made for an interesting composition especially with the heavy shadow hiding most of the whole lime. Fun painting to create. I hope that you enjoy it!